Heartfelt Creations is having a DT Call for 2018-19 team. And this means that they need you to vote for the current DT members who get to stay on the team for another year... So if you like my work & would like me to stay on the team for 1 more year then please do vote for me and 4 more designers by clicking on the link HERE. Voting ends on February 9th, 2018. 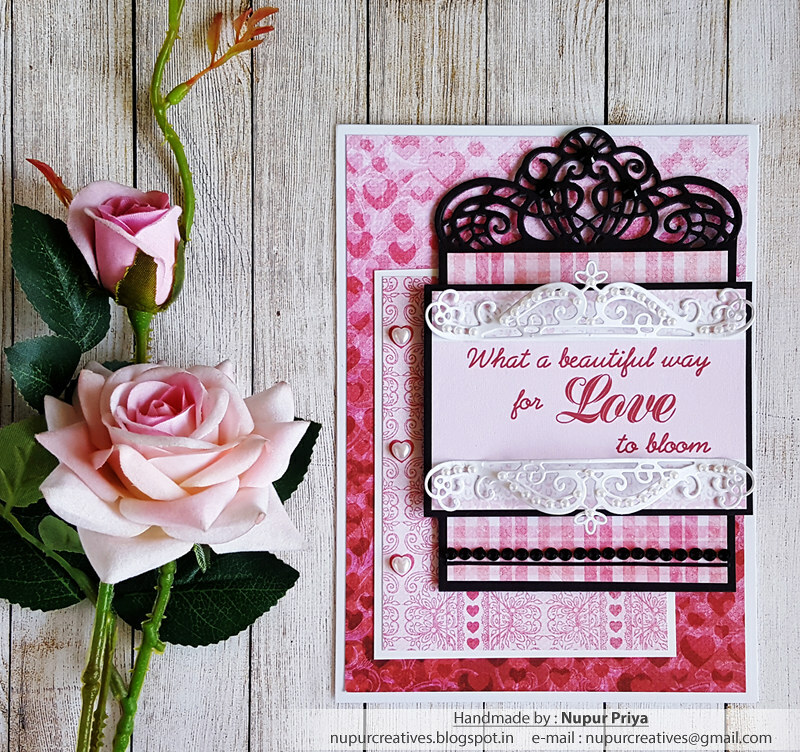 Cut a piece of 4 3/4" x 6 3/4" piece of pattern paper from Heartfelt Love Paper Collection & adhere it to a 5" x 6" white cardbase. Cut another piece of 3 1/4" x 4 1/2" pattern paper from the same paper collection & adhere it on 3 1/2" x 4 3/4" white cardstock. Adhere it on the card front. Die cut a piece of 5 1/2" x 3 3/4" black cardstock using Ornate Borders and Pockets Die to make a tag. Cut a piece of slightly smaller pattern paper from Heartfelt Love Paper Collection and glue it to the tag. Adhere this tag to the card front using Darice Adhesive Foam Strips. Cut a sentiment piece from the same paper collection & adhere it on a slightly bigger piece of black cardstock. Adhere it on the tag using Darice Adhesive Foam Strips. 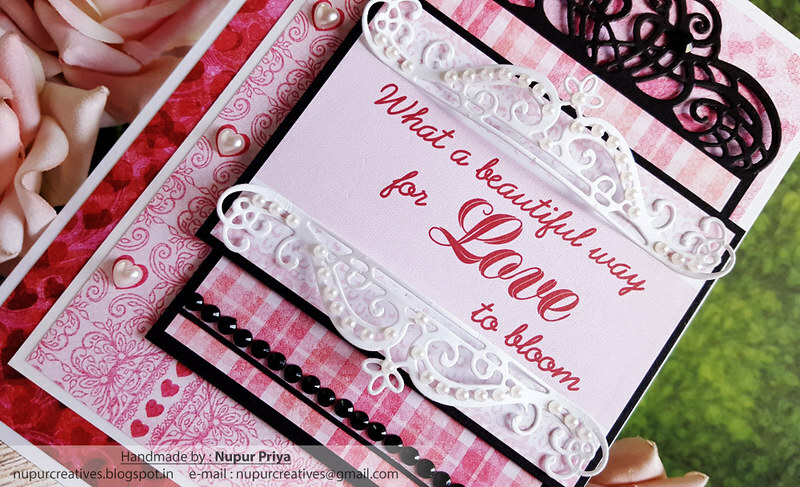 Die cut 2 pieces of white cardstock using Window Box Elements Die. curve & adhere them as shown to frame the sentiment. Add some pearls & rhinestones to add finishing touches.